Butterfly Happiness | Oh Danny Boy! This entry was posted in Danny's Photos and tagged Butterflies, Happiness, Photography by Danny James. Bookmark the permalink. I love this quote! Beautiful photo! Really nice. I have trouble photographing butterflies, too. This one is actually fully open — mine are usually in various stages, but never holding still for me! Same here. See comment below. Thanks! Try as I might, a good butterfly photo eludes me. This is beautiful, Danny. It was difficult. 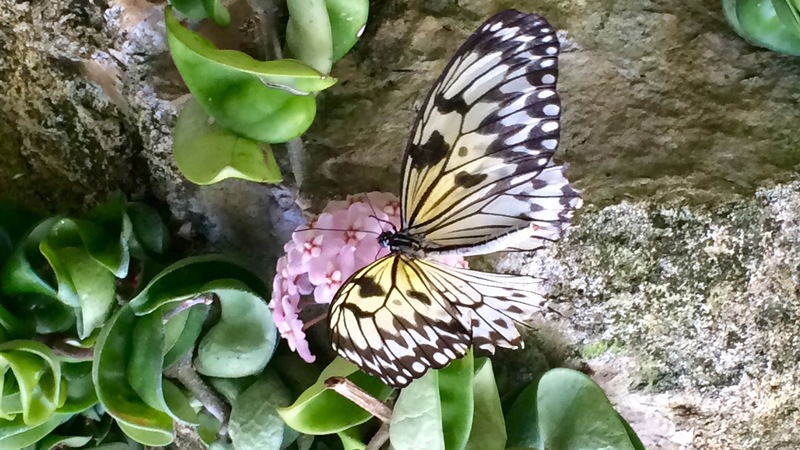 The picture was taken at the Butterfly Rainforest in Gainesville, Fl. The one I really wanted was a beautiful Black and Blue one but he would not land very often and when he did he folded his wings (as a protection ploy I guess). Pic taken with my iPhone 5S.